Cologne – Becoming a first team regular at a club of the calibre of Bayer 04 Leverkusen is no easy task at the best of times, but to do so at the age of just 19 requires a very special kind of talent. 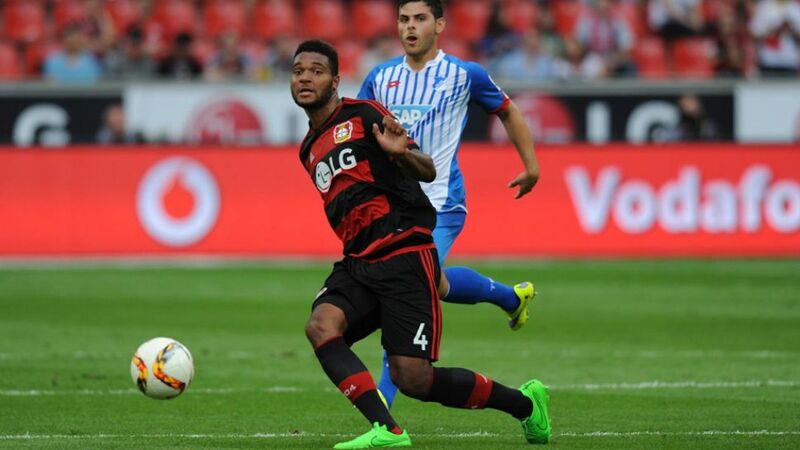 Such is the case of Werkself centre-back Jonathan Tah, who looks set for a long and successful career at the very top. Standing at 193 centimetres tall and weighing 90 kilograms, Tah, who has an Ivorian father and German mother, has a physique beyond his teenage years. It is no wonder new team-mate Christoph Kramer described him as “a real battleship”. Yet it is not only the defender’s physical prowess that has pundits and coaches purring in admiration; his on-field performances have been equally eye-catching. “I’d like to establish myself at Leverkusen and in the Bundesliga,” said Tah at his official unveiling over the summer. He has already gained significant top-flight experience having made his debut for Hamburger SV on Matchday 3 of the 2013/14 campaign at the age of 17, becoming the youngest player ever to appear for the club. He was a mainstay in the HSV side for the first half of that season, an achievement only few players have ever previously managed at such a young age: Bundesliga legends Christian Wörns and Karl-Heinz Körbel are the only two to have accomplished a similar feat. However, Tah fell out of favour when Mirko Slomka arrived as head coach and was loaned to Bundesliga 2 side Fortuna Düsseldorf at the start of last season. While dropping to a lower league may have appeared to have been a step back, it turned out to be quite the opposite. Tah gained much needed experience and won 64 per cent of all his challenges at the Rhineland club in 2014/15, a quota unrivalled by any of his team-mates. His displays caught the eye of several Bundesliga sides and eventually it was Leverkusen who won the race to sign him. “Jonathan is quick, technically gifted but still robust,” said Leverkusen sporting director Rudi Völler. “And he can still improve in all areas of his game.” Injuries to Ömer Toprak and Tin Jedvaj thrust him into the starting line-up alongside Kyriakos Papadopoulos in the DFB Cup first round, as well as against TSG 1899 Hoffenheim on Bundesliga Matchday 1 and in the first leg of the UEFA Champions League play-offs against Lazio. Tah’s composure, positioning and strength in those games demonstrated exactly why Leverkusen were so keen to sign him. It also highlighted why he was awarded the gold Fritz Walter Medal as the best young player in Germany, putting him in exalted company alongside previous winners including Mario Götze and Julian Draxler.